For most people, the holidays are a happy, joyous time full of celebration. The Christmas season is one of giving and reunion, and a lot of people like to get together with old friends and family that they haven’t seen in a long time over the holidays. Unfortunately, the holidays can also be a good time for helping one to realize that someone they love and care for has a substance abuse problem. Why are the Holidays So Useful for Spotting a Substance Abuse Problem? There are a number of things about the holidays that might highlight a substance abuse problem that one of your loved ones might have developed since you had last seen them. These are all things that most people experience on a yearly basis with their family or others that they share the holidays with. If someone is behaving differently than they usually do, perhaps there’s reason to suspect that they have a drug problem. Since many people don’t reunite with their family and friends in one large group many times during the year, the holidays might be the only time that you see them all in one place. This means that you’ll be able to see everyone in a familiar way, next to everyone else that you usually see – and signs of a substance abuse problem would stick out like a sore thumb. Many people find the holidays are stressful times. If someone that you have shared the holidays with before is known for getting stressed out around Christmas, but this year, they seem completely blissful and anxiety-free, they might have picked up some habits since last year. Likewise, if you know someone who is usually care-free and laid back during the holidays, and this year, they’re anxious and high-strung, this might be because of a drug problem. One of the best things about the holidays is being able to share a big meal with your friends and family. You’d surely notice if someone hadn’t touched their food at all – and this might be indicative of a substance abuse problem. The main reason that the holidays can are a useful time to spot a drug problem is because they are very special moments that stand out in a person’s memory. If you see someone annually at a yearly gathering, you’ll have a fairly solid idea of what their behavior and appearance is like, exempting personal growth. This makes it exceptionally easy to notice behavioral differences in a person. All of these things are a result of noticing someone’s behavior has changed from what you’re used to it being. Keep in mind, this isn’t always caused by a drug problem – but it could be reason enough for you to look out for some other signs and symptoms of substance abuse. If you’ve noticed one of the things we’ve already mentioned, don’t be quick to judge. 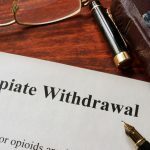 There are more subtle symptoms of drug and alcohol problems that you should look out for before you decide that one of your loved ones has developed a drug addiction. One of the most obvious signs of drug addiction that families tend to overlook is the frequency with which someone goes to the bathroom. Obviously you won’t want to scrutinize their bathroom habits or make someone uncomfortable. However, most users go to the bathroom to use their drugs. If someone’s going to the bathroom more than once every hour, and displaying some of these other symptoms of drug use, you might want to approach them about a substance abuse problem. Signs of withdrawal. These can include watery eyes, runny nose, extreme fatigue, anxiety and nervousness, lack of appetite, nausea and vomiting, shivering, chills, muscle aches (are they asking for Advil a lot?) and difficulty eating, as well as constant trips to the bathroom. Keep in mind that some of these signs and symptoms can be caused by a person’s environment, their natural growth and development as they age, or other external conditions. They are not enough to fully diagnose someone with a drug addiction. However, if you feel strongly that you should approach them about a substance abuse problem because of these things, make sure you do so tactfully.